You are not alone, many are in a similar situation. 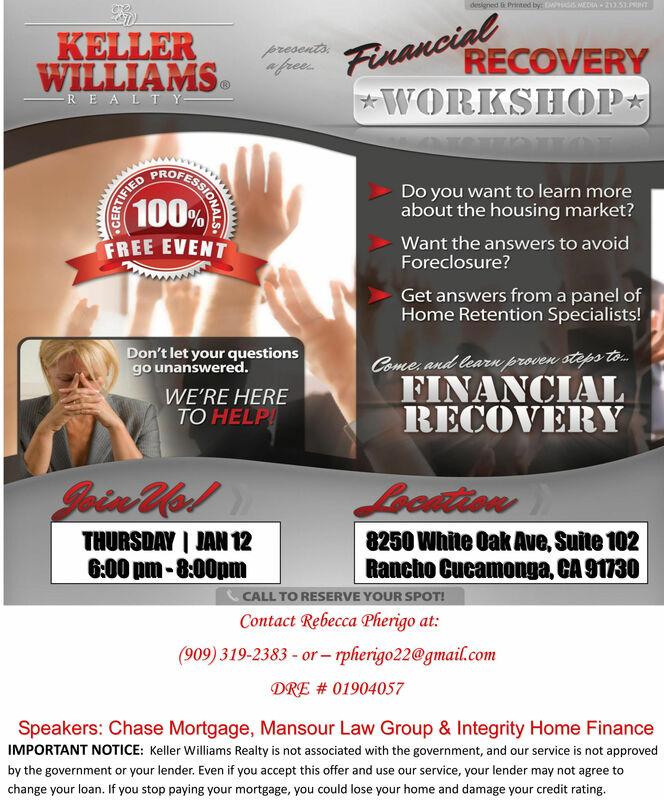 Please come to this free workshop and talk with the experts on how to get back on track or better yet maybe avoid foreclosure altogether. No one will try to sell you anything. Bring a copy of this flyer as your ticket.